His game. Her rules. Tyler Anderson is poised to take over the reins of his family-owned computer gaming company. But first he has to launch his latest invention. That means teaming up with self-made marketing consultant Iris Beharie, whose brash confidence and sizzling beauty are throwing the reserved computer designer off his game. Landing the plum Anderson Adventures account could save Iris's fledgling PR firm and prove to her skeptical siblings that she has what it takes to succeed. Too bad Tyler doesn't play well with others...except when he and Iris are alone. As the gorgeous gaming genius sheds his introverted image in the bedroom, things are heating up in the boardroom in the cutthroat fight for CEO. 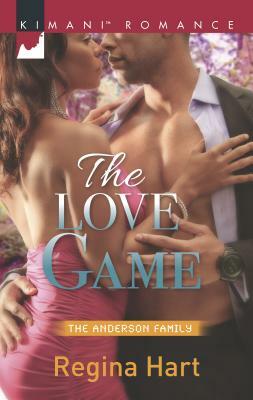 Amid distrust and treachery, is Ty ready to gamble everything on a love that's as real as it gets?